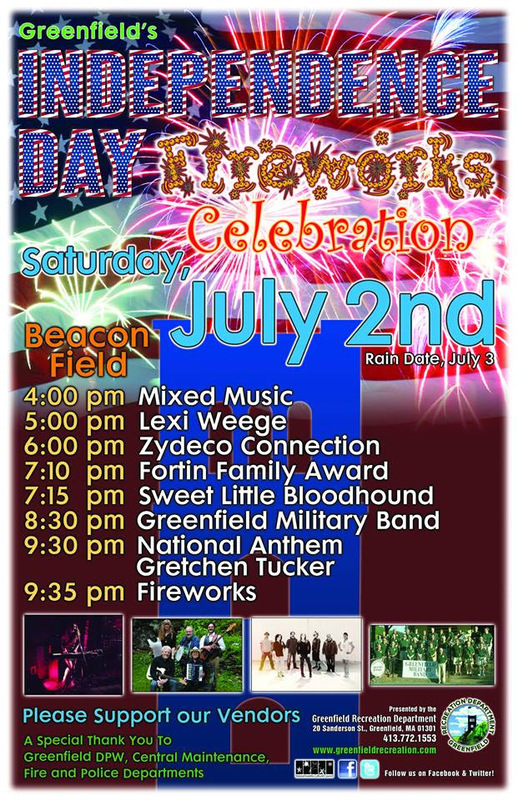 Greenfield's Independence Day celebration is tomorrow night with a beautiful fireworks display starting at 9:35 at Beacon Field. If you are looking this week's fireworks schedule, click here for this weekend's state wide schedule. Wishing you a wonderful 4th of July weekend!